Washington, D.C. – U.S. 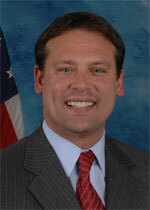 Congressman Mike McIntyre has introduced legislation to repeal the North American Free Trade Agreement. NAFTA and similar trade agreements have resulted in a 29% decline in U.S. manufacturing employment since 1993. Congressman McIntyre is supporting a “Make it in America” plan that will help bring back our manufacturing base and create jobs right here at home. This week, Congress is considering the Continuing Resolution (CR). This is a temporary funding bill to fund the federal government until the end of the current Fiscal Year. The previous leadership in the last Congress failed to pass any of the regular appropriations bills necessary to fund the federal government, requiring them to pass temporary extensions to allow the government to continue functioning. Please note: the CR is NOT the same thing as the President’s FY 2012 budget proposal that is also in the news this week. The final vote on the Continuing Resolution is scheduled for Thursday. It will cut at least $100 billion in spending, bringing federal spending for the rest of this fiscal year back to FY2008 levels. Without these spending reductions, our economy cannot grow and businesses will not be able to create jobs. These steps to cut spending– however uncomfortable – are absolutely necessary. Cutting spending will remove barriers to job creation and grow the economy in both the short and long term. Remember, government spending today equals higher taxes tomorrow. The more the government borrows, spends and regulates, the harder it is for business to access capital and create jobs. Passing this Continuing Resolution is fulfilling a commitment to the American people to roll back spending and get our fiscal house in order. 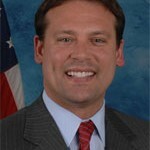 U.S. Representative Heath Shuler released the following statement [Monday] regarding the President’s proposed budget for Fiscal Year 2012. 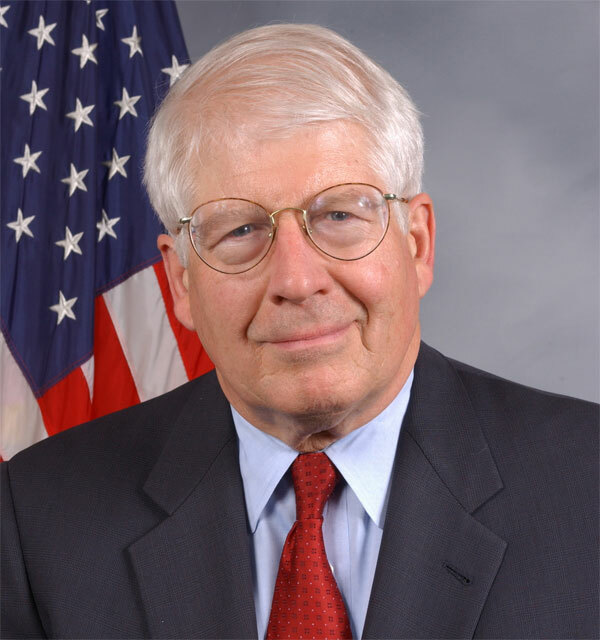 Rep. David Price (D-NC) gave the following remarks for the Congressional Record during debate on H.R. 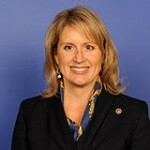 1, the Republican bill to fund the government through the end of the 2011 fiscal year. The bill cuts billions of dollars in funding for innovative medical research, green energy, education programs like the Pell Grant and Head Start and rescinds federal investments in critical infrastructure high-speed rail. In his remarks, Rep. Price says the cuts undermine our future competitiveness by crippling advantages that have made us strong, secure and prosperous as a nation. Mr. Speaker, as Ranking Member of the Homeland Security Appropriations Subcommittee, I rise to discuss the impact this bill will have on our nation’s security. I am talking, in part, about its impact on the efforts directly managed by the Department of Homeland Security. But I am also talking about our security in a broader sense: about what makes us strong, secure, and prosperous as a nation. As for the bill’s Homeland Security title, I want to commend Chairman Aderholt for doing what he could to shield several critical programs from the ill-advised cuts throughout this bill. Our border security, disaster relief, immigration enforcement, and transportation security efforts – for the most part – are protected. Unfortunately, these investments offer little consolation when we look at other areas of the DHS budget. This bill would severely cut federal support for state and local first responders, which is particularly troubling when we consider the fiscal restraints that state and local governments are facing right now. The elimination of firefighter grants is especially galling. That cut is guaranteed to result in thousands of firefighter layoffs across the United States. But while I am concerned about the problems with the homeland security section of this bill, I know that these cuts pale in comparison to other critical domestic services and investments. And that is exactly my point: the strength and security of our country are about so much more than how much we spend on weapons systems or how thoroughly we police the border. They are about the investments we make in our people, in our nation’s ability to recover from the current economic downturn and compete in the global economy. By this measure, this Republican proposal would dangerously weaken our security by undermining the things that make us strong – from education to scientific research to infrastructure – in an effort to achieve an arbitrary level of cuts dictated by the most extreme elements of the Republican Conference. As an illustration, look no further than my own congressional district, the Research Triangle of North Carolina. In just a few decades, the Triangle has become one of the leading centers of research, education, and innovation in the world — an engine of economic growth whose impact extends well beyond state lines. But now my Republican colleagues are threatening to undermine the very basis of our economic success. This bill would gut higher education by slashing the maximum Pell Grant award by 17 percent. In my district, over 27,000 students receive Pell Grants — over 249,000 students in North Carolina overall. We cannot possibly “out-educate” our competitors by denying a college education to thousands of American students and allowing the most disadvantaged children to fall even further behind. Nor can we “out-build” our competitors by slashing funding for high-speed rail, clean energy technologies, and other investments in the infrastructure that will be necessary to sustain the industries of the 21st Century – as this Republican proposal would do. Cuts to transportation and infrastructure in this bill would directly result in the loss of over 20,000 jobs in North Carolina alone. Indeed, the enactment of this measure could sound the final death knell for any hope that the United States will become the global market leader in “green” technologies. Instead, we will only fall further behind as China and other countries develop the energy sources that will fuel our economy as the price of oil soars. Finally, this Republican plan would eviscerate our investments in scientific research – the source of so much of our economic success, especially in the Research Triangle. It would cut cancer research and other NIH funding by nearly $1.6 billion. It would cut National Science Foundation research and education by over $800 million. And it would cut $400 million from agricultural research that keeps our farmers competitive in the global market. These are just a few of the dozens of initiatives which have built the foundation for our nation’s economic prosperity – and, by extension, our nation’s security. To take a wrecking ball to this foundation at a time when we are struggling to recover from a financial crisis and compete again in the modern global economy would be both reckless and reprehensible. We shouldn’t even be calling this bill a Continuing Resolution. The “C-R” could more accurately stand for “Continuing the Recession”, or “Choking the Recovery” – because that’s exactly what this bill will do. I urge my colleagues to oppose this dangerous measure, and I yield back the balance of my time. Today U.S. Congressman Walter B. Jones (NC-3) applauded Speaker of the House John Boehner for his decision to continue holding a moment of silence on the first legislative day of each month for the troops and their families. The moment of silence has been observed in the House since Jones first proposed the idea in 2008, and it was observed today for the first time in the 112th Congress. What are your thoughts? There has been a lot of debate in our state about the restaurant smoking ban, do you believe that law should be overturned in North Carolina? “It has been reported that the Obama Administration will support a U.N. Security Council statement rebuking Israel. The statement, which would condemn Israeli settlement activity, is reportedly being offered as a compromise – because the Obama Administration doesn’t want to veto a stronger statement issued by the Council. This is not the time to abandon our closest and strongest democratic ally in the Middle East in an effort of appeasement. I call on the President to stand strong with Israel at this time. The strength and security of the State of Israel is vital to America’s national security, particularly with the current upheaval in Egypt and Tunisia and other parts of the region. Earlier this week I signed onto a letter to Speaker Boehner affirming my commitment to ensuring the strength of the U.S.–Israel relationship. I also support continuing America’s commitment to support Israel’s Iron Dome rocket defense system. This support will help Israel protect her civilian population, as well as maintain military strength. This is vital not only to Israel’s security at this time, but to America’s as well. Washington, DC— As the Energy and Commerce Committee begins consideration of the Consumer Product Safety Improvement Act (CPSIA) and the role of the Consumer Product Safety Commission (CPSC), Congressmen Henry A. Waxman and G. K. Butterfield circulated to committee members the results of a new national telephone poll conducted by Consumers Union. The survey found very strong consumer support for a strong federal role in requiring the testing of children’s products, in providing public access to consumer safety complaint information, and in keeping unsafe products out of the marketplace. The Energy and Commerce Committee’s Subcommittee on Commerce, Manufacturing and Trade will hold a hearing on Thursday, February 17 to review CPSIA and CPSC’s resources. Witnesses will include CPSC Chairman Inez Tenenbaum and CPSC Commissioner Anne Northup. 95% of those surveyed agree that the federal government should require testing by manufacturers of children’s products like jewelry, pacifiers, and toys to ensure they do not contain any harmful substances. 94% of those surveyed agree that the federal government should require testing by manufacturers of products like baby carriers or slings, cribs, and strollers to ensure their safety. 87%of those surveyed were interested in the ability to find out if another consumer experienced a safety hazard with a consumer product. 82% of those surveyed were interested in the ability to access a database maintained by the government where they can report and search safety problems with consumer products. 91% of those surveyed agree that the federal government should set safety standards for all children’s products. 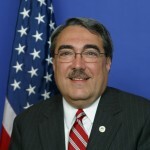 Rep. Butterfield, Ranking Member of the Commerce, Manufacturing, and Trade Subcommittee, said despite strong public support, the hearing comes amid efforts to limit CPSC’s ability to protect consumers. As part of the debate over the FY2011 budget, Rep. Mike Pompeo has offered three amendments aimed at limiting the power of CPSC to protect consumers. Rep. Pompeo would bar CPSC from moving forward with creating a public, searchable database of consumer complaints. Rep. Pompeo is also seeking to eliminate provisions that require manufacturers to have their products tested at accredited, independent third-party facilities to ensure toys are designed safely and without harmful chemicals. The third amendment would eliminate the requirement for testing to ensure ongoing compliance with product safety standards. 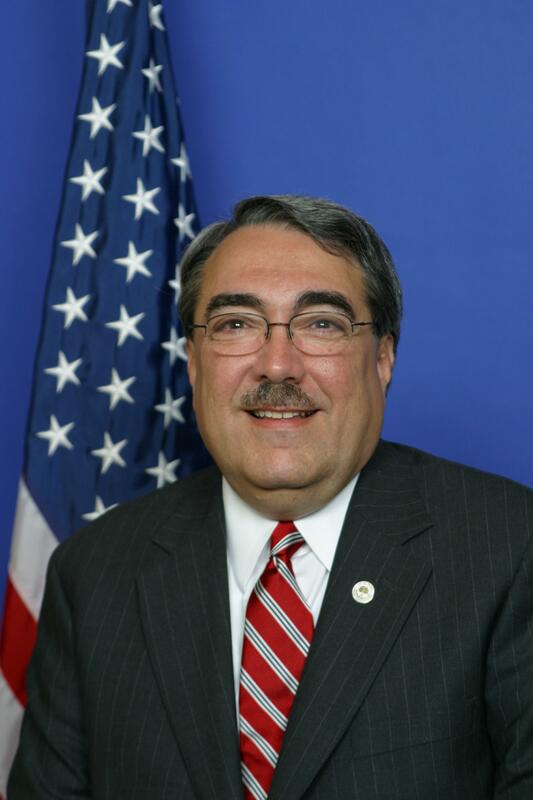 “We cannot go back on our promise to Americans that children will not be the front line for testing the safety of toys and consumer products,” Rep. Butterfield said. The complete survey results can be accessed here. “On this second anniversary of President Obama’s failed ‘Stimulus’ Plan, we would do well to look back at how we got to where we are today so that we don’t repeat the mistakes of the past. The ‘Stimulus’ package was sold to us with the promise that it would create jobs. In fact, two years ago, the President warned us that if his ‘Stimulus Plan’ did NOT pass the unemployment rate would rise to over 8%. The President also promised that his ‘Stimulus’ package would save or create 3.5 million jobs. The bill passed and instead of dropping unemployment soared. We’ve had a record 21 months of unemployment at 9 percent or higher. Worse, 2.5 million jobs have been lost. In North Carolina it was projected that 105,000 jobs would be created – instead 95,900 jobs were lost. We spent a trillion dollars on the ‘Stimulus’ package – increasing our national debt to over $14 trillion – and failed. As a result, today, we face a spending-driven debt crisis. But instead of cutting spending the President wants to spend even more. This week he presented a new budget that will once again double the national debt in five years, triple it in ten and add $13 trillion worth of red ink to the national debt. The federal government is now borrowing 42 cents of every dollar it spends. We cannot continue on this course. But again, last month, in his State of the Union address the President called for more spending for targeted “investments.” This is just another way to say we need a new ‘Stimulus Plan’ to replace the old one that brought us higher unemployment and soaring debt.